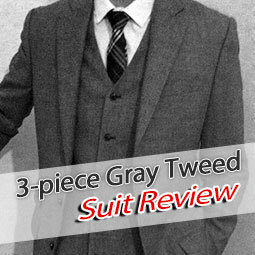 Having only owned two suits: charcoal and light grey, I felt there was a need for a third suit. I bounced around department stores and online sites like Jos. A. Bank and Brooks Brothers, but didn't find anything I was absolutely dying for. 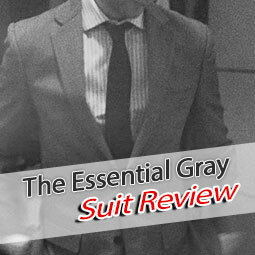 I had experienced much trouble with OTR (off-the-rack) suits, so I began looking at MTM (made-to-measure) suits for a little while. The biggest issue with trying to find a good MTM suitor is the price. Money is everything. 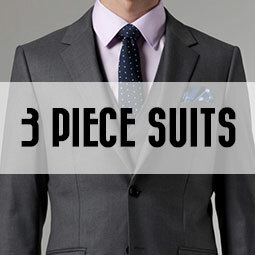 The less I spend means the more I can save towards another suit. 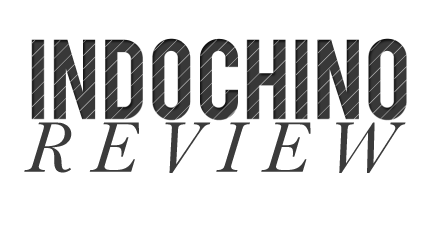 After doing a bit of research and weighing the pros and cons of each potential clothier, I decided I would go with Indochino. 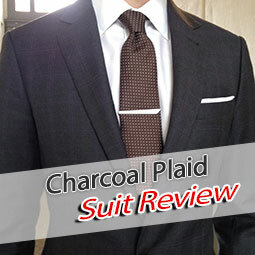 Knowing that there were coupons and additional savings to be had, I waited for coupon better than 10% off a single suit. I passed up on 15% coupon codes and free shirt coupon codes. 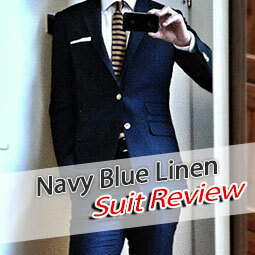 Finally a 20% off coupon code arrived and I jumped on the opportunity to purchase my Classic Navy Suit (initial impressions and pictures here). In hindsight, I should've waited a little longer because there was a coupon for 20% off AND a free shirt 2 weeks later. I had a friend make some measurements (twice to be exact), put my order in online and patiently waited two weeks for my suit to be delivered. The suit came in under $280 and considering it's made to my body's measurements, that's ridiculous. Out of the box, I was impressed with the suit. 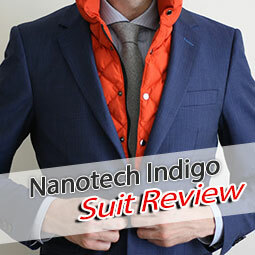 It even looked similar to the modeled suits on the Indochino website. The next 24 hours were quite painful as I let the suit sit to release some wrinkles and folds. I wanted to make sure I was giving the suit a fair chance. When I first put on the pants, I knew I had a good fit. It's always been difficult to find pants in the right size because I've got a smaller waist, but a larger than normal derrière. My thighs are also larger because of Tennis and Hockey, while my calves are on the slimmer side. These pants catered perfectly to every area of my leg. They were very slim and tapered very well at the leg opening. While others have suggested I get the pants lengthened just a tiny bit, I feel the length is adequate and alterations aren't necessary. Really though, I have absolutely zero complaints about the pants. Great fit, length looks alright to me. 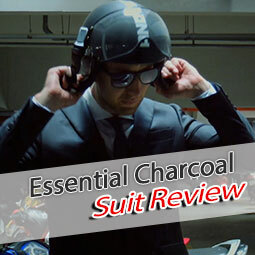 The suit jacket was no different as it honestly fit like a glove. The shoulders sat very well as I asked for natural shoulders. The armholes were especially comfortable as I asked for higher armholes. I'm even surprised they fulfilled my request for functional sleeve buttons as I've heard stories of Indochino not wanting to do this in case the sleeves need to be hemmed. 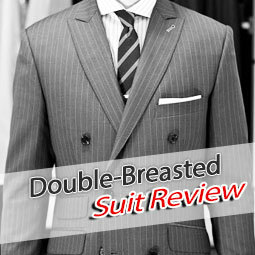 The suit jacket hugged my neck snugly, tapered to my torso well, and overall, looked like a good fit for my body type. 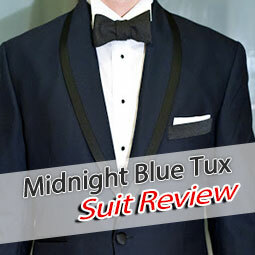 While I would prefer if the suit jacket was half inch longer, I really don't mind its length. I can just say I'm trying to be a little more fashion-forward. This pictures does the suit justice. Overall, I'm extremely excited by my newest suit addition and would strongly consider Indochino in the future for my next suit. 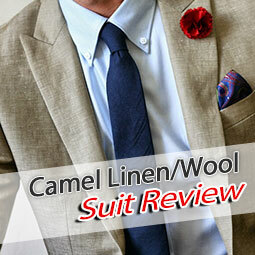 I'd be hard-pressed to find another clothier at such a great price. Maybe I could go straight to the source in Shanghai to get some suits made, but the airfare would cost a lot to begin with. I'm now looking to find some custom made shirts or extra-slim fit shirts from quality shirt-makers like Paul Smith and Thomas Pink. If anyone comes across a great sale for either or even something similar, let me know!